Brown played 35 offensive snaps and wasn't targeted in Saturday's wild-card loss to the Cowboys. Brown caught one of two targets for seven yards in Sunday's win over the Cardinals. Analysis: Brown hauled in his lone reception on the Seahawks' first offensive drive, and he didn't command another target until the first drive of the third quarter. Since scoring twice Week 13 versus the 49ers, Brown has just three receptions for 16 yards and no touchdowns in the last four games. Brown is tough to lean on in fantasy settings with a low ceiling and an empty floor, but he did find the end zone Week 3 against the Cowboys, who are Seattle's first playoff opponent. 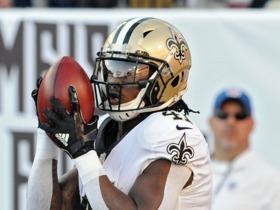 Brown turned his lone target into a nine-yard reception in Sunday's 38-31 win over the Chiefs. Analysis: After enjoying a career year in Arizona in 2017 with 31 receptions, Brown hasn't been able to take a step forward in his first season in Seattle. The wideout has just one multi-catch game on his ledger since Week 3 and has reached the end zone only twice in his last seven outings. Brown couldn't haul in his only target in Monday's win over the Vikings. 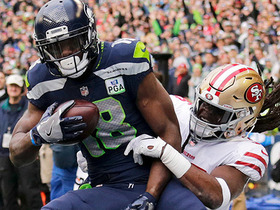 Analysis: Brown was coming off a two-touchdown performance against the 49ers in Week 13 and looked poised to see an uptick in usage with Doug Baldwin (hip) out. However, quarterback Russell Wilson was held to just 72 passing yards by a strong defense, and Brown was underthrown on his lone target. If Baldwin stays out, Brown could be a sleeper option during the fantasy playoffs with a Week 15 matchup against the 49ers on tap. General manager John Schneider said he expects Brown to see more snaps Monday against the Vikings with Doug Baldwin (hip) inactive, Bob Condotta of The Seattle Times reports. Brown caught two of three targets for 67 yards and two touchdowns in Sunday's win over the 49ers. Brown couldn't haul in his only target during Sunday's win over the Panthers. Analysis: Brown finally got targeted after being neglected in the pass game in the previous two weeks. Barring an injury to Doug Baldwin, Tyler Lockett or David Moore, Brown won't be a viable fantasy option. Brown played 10 of 68 offensive snaps and didn't receive a target in Sunday's 36-31 loss to the Rams. Analysis: This is the fourth time in the last six games that Brown didn't get targeted. In the other two games, Brown caught a touchdown, which makes him frustrating for owners of Tyler Lockett and Doug Baldwin. Brown isn't a viable fantasy option. Brown caught one of two targets for 10 yards and a touchdown in Sunday's 25-17 loss to the Chargers. Analysis: Brown only had one target over the previous four games, so he can be considered a fantasy thief for those starting Tyler Lockett of Doug Baldwin. The 28-year-old wideout has 11 targets overall this year and three touchdowns to show for it. He's still a spotty fantasy option as the No. 4 receiver in Seattle. Brown played 18 offensive snaps but didn't get targeted in Sunday's 28-14 win over the Lions. Analysis: Brown now has just one target in the last four weeks. Brandon Marshall has fallen behind him in the pecking order, but Brown doesn't have a place in fantasy lineups with David Moore clearly taking the No. 3 wideout role with four touchdowns in the last three weeks. Brown hauled in his only target for five yards and a touchdown in Sunday's 27-3 win over the Raiders. 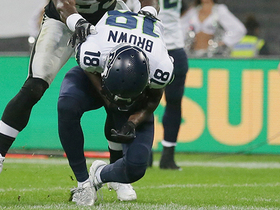 Analysis: It was Brown's first reception since Week 3. He has just six catches on 10 targets for 28 yards and two scores this season, keeping him from entering the fantasy realm. Brown played nine of 60 defensive snaps (15 percent) in Sunday's 33-31 loss to the Rams. Analysis: Brown has been surpassed by David Moore on the depth chart, knocking him to the No. 5 wideout. However, Brown did play more snaps than Brandon Marshall (seven). Barring injuries, Brown won't be fantasy relevant. 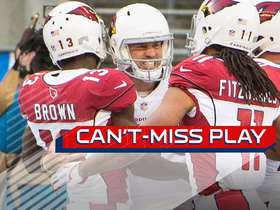 Brown wasn't targeted in Sunday's 20-17 win over the Cardinals. Analysis: Quarterback Russell Wilson threw 26 passes and targeted seven different players, but Brown didn't make the cut. 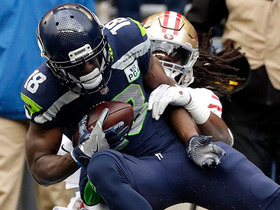 Brown was targeted three times in each of the first three contests, hauling in six for just 68 yards and one score, and it appears he suffered when Doug Baldwin returned from his knee injury. Brown shouldn't be considered Week 5 against a strong Rams defense. Brown captured two of three targets for 25 yards and a touchdown in Sunday's 24-13 win over the Cowboys. Analysis: Brown hasn't stretched the field this season like the Seahawks hoped, but he finally got a red-zone target, which resulted in his first score of the year. The sixth-year pro has had three targets in each of the first three games, and he has six catches for 78 yards and one touchdown to show for it. Brown snatched all three of his targets for 36 yards during Monday's 24-17 loss to Chicago. Analysis: Brown was quiet for much of Monday, with two of his catches coming during the Seahawks' late-game touchdown drive. Brown has the speed to get downfield, but Russell Wilson hasn't had much time to get to him. 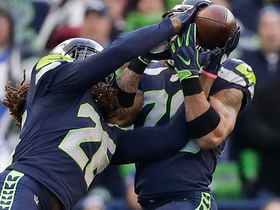 The Seahawks have given up a whopping 12 sacks through two weeks. After rough matchups against Von Miller and Khalil Mack in back-to-back weeks, things don't get much easier against Demarcus Lawrence and the Cowboys. Brown made one catch for seven yards on three targets during Sunday's 27-24 loss to the Broncos. 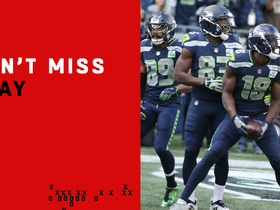 Analysis: Two of his three targets came on the last drive when Russell Wilson was chucking deep balls to try saving the game. Fellow wideout Brandon Marshall was targeted by quarterback Russell Wilson six times, making it look like Brown is the No. 4 wideout in the pecking order, though he could be the No. 3 if Doug Baldwin (knee) misses time. Brown hauled in two passes for 74 yards in Saturday's 24-14 preseason loss to the Chargers. Analysis: Both of Brown's receptions were deep balls along the sidelines, with the second catch being made despite defensive pass interference by Chargers starting safety Jahleel Addae. Brown took the No. 1 wideout reps as Doug Baldwin (knee) and Tyler Lockett (foot) sat out, and his ability to stretch the field Saturday could get him more looks when the regular season commences. Brown recorded one reception for nine yards in Thursday's 19-17 preseason loss to the Colts. Analysis: Brown signed with the Seahawks in March and is battling Tyler Lockett and Brandon Marshall for a top-three role. The 28-year-old can stretch the field with his speed, while his 6-foot-3 frame can hoist him over defenders when necessary. Marshall sat out Thursday while both Lockett and Brown logged limited reps, so the receiver picture didn't get any clearer. 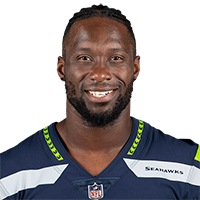 Brown's two-year contract with Seattle has a base value of $5.5 million and includes $2.75 million fully guaranteed, Brady Henderson of ESPN.com reports. The Seahawks signed Brown to a contract Friday, Ian Rapoport of NFL Network reports. Analysis: Brown set career highs with 31 receptions for 477 yards and four touchdowns in 16 games for the Cardinals in 2017. 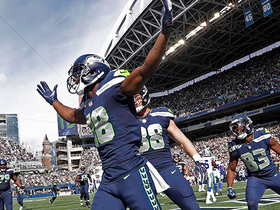 The 28-year-old is likely to compete with Tyler Lockett -- who saw diminished playing time over the course of last season -- for snaps in 2018, although wide receiver could certainly be a position the Seahawks target in next month's draft. Brown notched 31 catches (on 69 targets) for 477 yards and four touchdowns in 16 games during the 2017 season. Brown was targeted five times and pulled in two passes for 15 yards during Sunday's 12-7 win over the Titans. Analysis: Brown saw the field for a whopping 55 of Arizona's 65 offensive plays with John Brown (toe) out of the lineup. The uptick in role up to No. 2 did little for Brown's production. The fifth-year receiver still hasn't caught more than three passes since Week 5, and while he's managed to find the end zone twice during that span, the real risk of low production doesn't make those few highlights worth waiting for. Brown (knee) doesn't have a designation for Sunday's game against the Titans, Josh Weinfuss of ESPN.com reports. Analysis: After practicing in full Friday, Brown was given the all-clear for Week 14. Expect Larry Fitzgerald to receive the bulk of Blaine Gabbert's attention Sunday, but Brown could get in on the act against a Tennessee defense that has allowed the third most touchdowns (15) to wide receivers this season. Brown (knee) was a limited participant in Thursday's practice, Josh Weinfuss of ESPN.com reports. Analysis: It's believed Brown's knee injury stems from Sunday's loss to the Rams, but early indications are that it's not a significant issue. With Brown kicking off Week 14 preparations with two limited practices, he looks like a decent bet to suit up against the Titans this weekend. Even so, Brown has yet to show much of a rapport in quarterback Blaine Gabbert's three previous starts, combining for two receptions for 74 yards and a touchdown over that span. Brown was limited by a knee injury at Wednesday's practice, Darren Urban of the Cardinals' official site reports. Brown caught his lone target for a 52-yard touchdown in Sunday's 27-24 win over the Jaguars. Analysis: With John Brown (toe) unavailable, the Cardinals tried to get a few players more involved, but Jaron Brown wasn't one of them. He nonetheless made the biggest play of the game, sneaking behind Jacksonville's excellent secondary to get wide open for a long touchdown that put the Cardinals ahead in the fourth quarter. Brown will carry a streak of six straight games with either one or two receptions into Week 13 against the Rams. Brown snagged one of three targets for 22 yards in Sunday's 31-21 loss to Houston. Analysis: Brown's lone catch didn't come until the closing minutes of the game, with Houston well in control. Brown had a nice run from Weeks 3-6, during which he averaged 4.25 catches and 61 yards per game. He hasn't topped two catches in any of the five games since and has averaged just 21 yards per game. He has clearly fallen out of favor in Arizona. Brown earned 52 of 80 offensive snaps during Thursday's 22-16 defeat to the Seahawks. Brown nabbed his lone target for a three-yard touchdown in Sunday's 20-10 win over the 49ers. Analysis: Brown got the Cardinals rolling in the first quarter with his first score since Week 3. The Cardinals have transitioned into a pound-the-rock outfit with Carson Palmer out and Adrian Peterson in. Brown has caught just four passes in the three games since Adrian Peterson joined the squad and has yet to show that his productivity can persevere with Drew Stanton under center. Seattle Seahawks quarterback Russell Wilson hits wide receiver Jaron Brown for a touchdown on third-and-goal. Seattle Seahawks quarterback Russell Wilson hits wide receiver Jaron Brown for 45 yards. Seattle Seahawks wide receiver Jaron Brown makes an impressive catch in the back of an end zone for a 10-yard touchdown. Seattle Seahawks quarterback Russell Wilson scans field to find wide receiver Jaron Brown in end zone for the first touchdown of the game. Seattle Seahawks quarterback Russell Wilson finds wide receiver Jaron Brown in the end zone for a 16-yard touchdown pass. 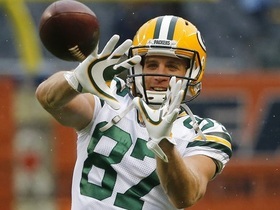 NFL Network Insider Ian Rapoport brings the latest on free agent wide receivers Jordy Nelson and Jaron Brown visiting with Seahawks on Thursday. Take a look at the key moments and most exciting plays from the 2017 NFL regular season finale in Week 17. 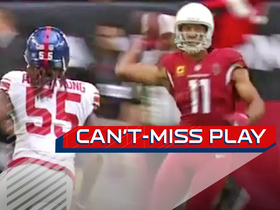 Arizona Cardinals wide receiver Larry Fitzgerald throws this pass for his first career completion.